Completed Floor Shines Like Never Before! 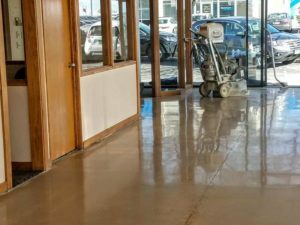 Existing concrete or new construction can be polished. 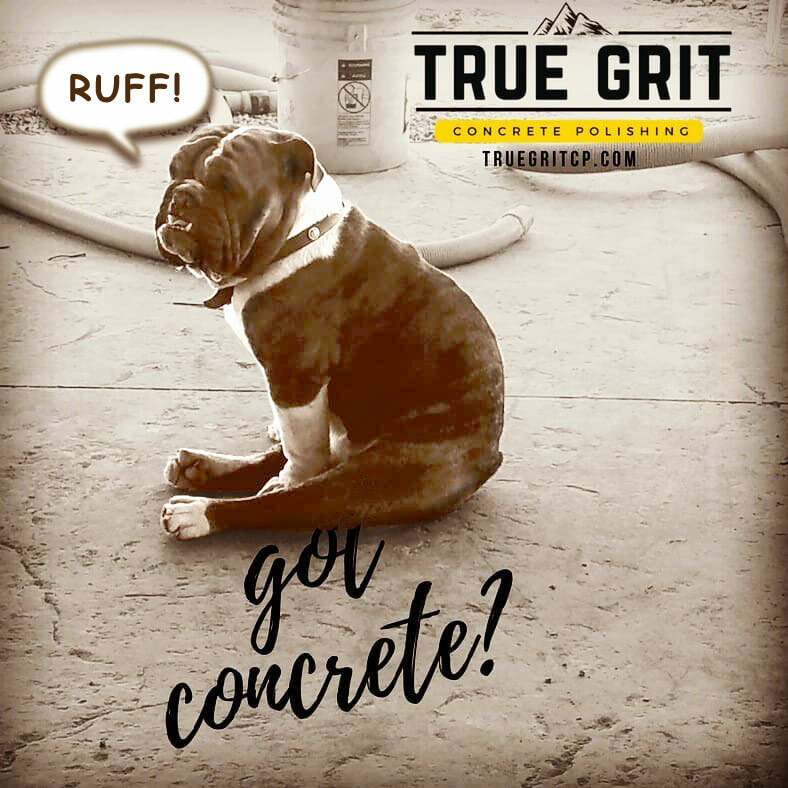 Old or new construction is no problem for True Grit Concrete Polishing. 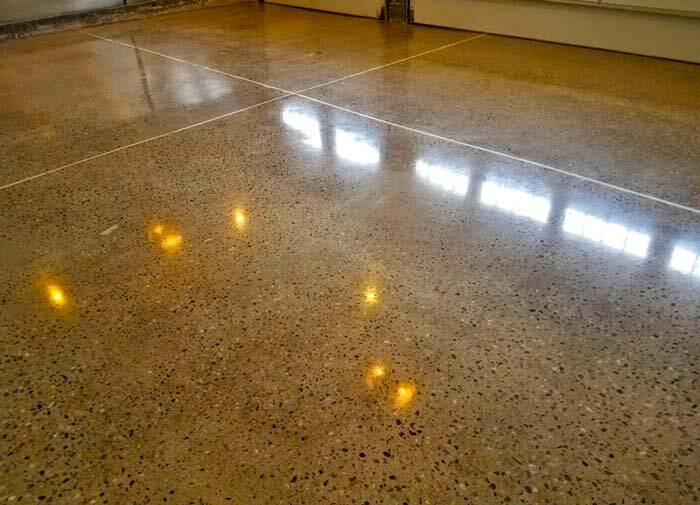 Polished concrete is ideal for interior applications and is easier and less expensive to maintain than floors with topical coatings. If you’re a contractor, business, or institution interested in learning how you can earn LEED points – Learn More at this link. Transform Drab Concrete into a Beautiful Floor! Drab Concrete Transfomed into a Beautiful Floor! 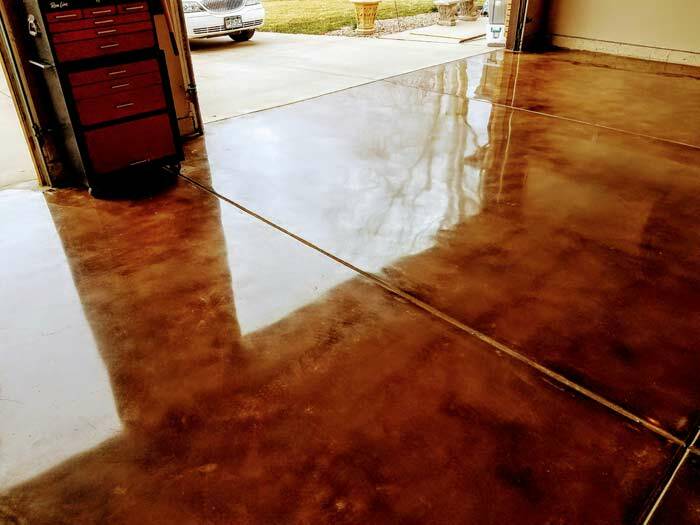 After honing and polishing concrete with a mechanical grinder, the surface is the shine. Polished concrete needs no wax or any other maintenance to enhance the finish. Polished concrete does not dull or scuff as other substrates do. A guard seal is applied after grinding and polishing and that’s it- a tough low maintenance floor. Concrete guard application is easy. 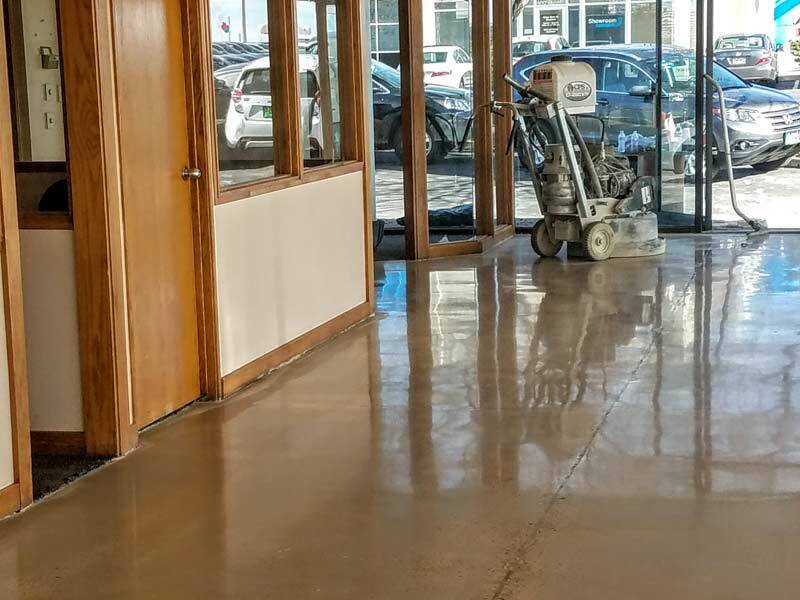 By simply buffing polished concrete, combined with a densifier from our maintenance plan will keep your polished concrete’s shine beautiful for years to come. 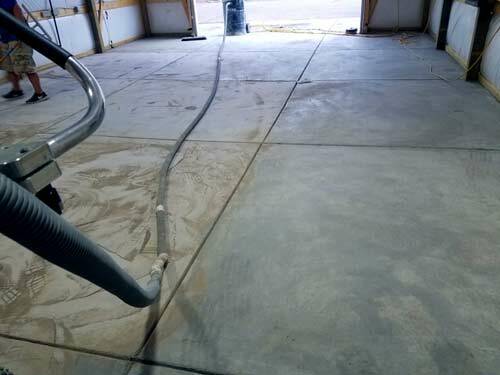 The plan uses buffers and densifiers, instead of wax or floor cleaners, to strengthen the guard seal and make the concrete even more durable. Ask about our maintenance plans when you call. Don’t think your floor can be fixed? True Grit Concrete Polishing can fill in cracks and pits to produce the beautiful floor you see above. Concrete surface repair services are available for minor cracks, spalls and joint fills. Call or email us for a consultation on your old floor. Polished concrete is ideal for most all flooring applications. Durability, quality and appearance are attributes of a polished concrete floor. This is value added to any structure, institutional, business or residential. Grocery stores, warehouses and beautiful residences have taken advantage of True Grit Concrete Polishing services. Beyond the natural beauty of polished concrete’s appearance, is the advantage of extreme durability and low maintenance. Artful staining can also bring out concrete’s hidden beauty. Grinding deeply into the aggregate with coarse diamonds, produces the rock that resembles stone or granite. Perhaps you just want a slick surface without the aggregate appearance- a faux finish stain. We do that. Awards include: Best of Pueblo: won bronze in 2015 gold in 2016, 2017 and 2018. Many satisfied clients are around. After all of these wins, True Grit moved out of Pueblo, to Cortez, Colorado. True Grit grinds out quality, durability and beauty. If you’ve scanned the site and feel that you’re a potential True Grit Concrete customer, you can request a quote or consultation. We’d be happy to help.